The ArsRatio AR18 flooring system with 600 x 600 mm elements is specially designed to meet the demands of modern raised access floors. This innovative flooring system with a porcelain surface and polyurethane interlocking mechanism is the universal solution for a wide range of applications with normal traffic* including sales floors, office spaces, clinics, showrooms, and exhibitions. 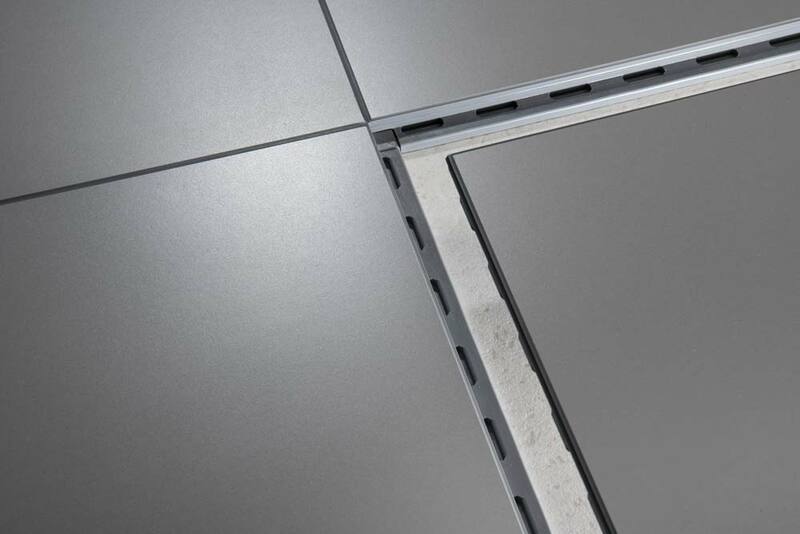 The combination of fast and easy installation with extremely precise joints guarantees outstanding value with a high-end appearance at an installation height of only 18 mm. AR18 flooring is available in 12 standard colors (see below), additional color combinations are available upon request. 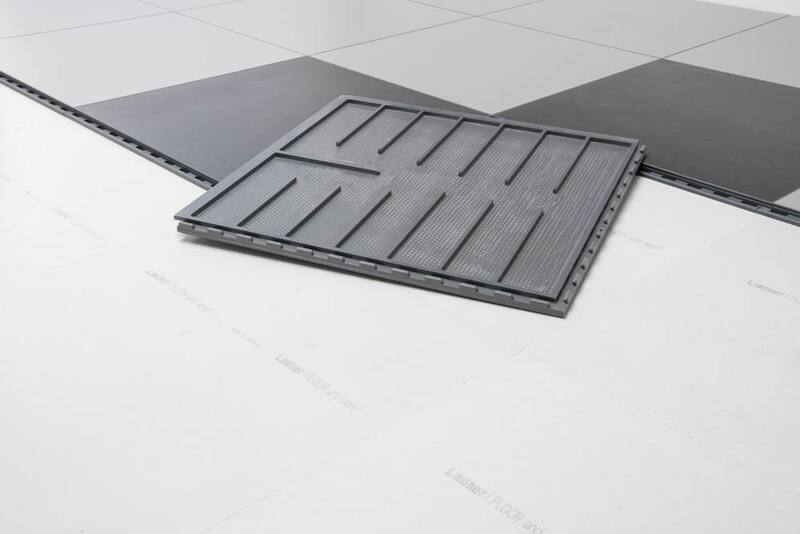 Thanks to the ArsRatio interlocking mechanism, individual flooring elements are quick to install onto your raised access flooring and they can also be easily opened again. This unique flexibility makes it simple to subsequently modify the original flooring layout or access cables and equipment under the floor. As a result of the patented interlocking mechanism, our flooring systems install in a snap with no adhesives, grout, dust, dirt, or lengthy drying times. Large surfaces install very rapidly — and the best thing is, it can be done while your business remains open. The unique appearance of the ArsRatio flooring system makes a lasting impression. Exclusive surface materials and precise joints combine to form an especially attractive look. That’s why ArsRatio was awarded the German Brand Award in the category Building & Elements in 2017. The patented interlocking system on all sides of each flooring element ensures both longitudinal and transverse stability. The ArsRatio flooring system has been tested for you according to all applicable EU standards. The ArsRatio AR18 flooring system with a porcelain surface and polyurethane interlocking mechanism is the universal solution for modern raised access floors including sales floors, office spaces, clinics, showrooms, and exhibitions. All technical specifications including installation height, weight, point loads, and information on installation are available in the AR18 data sheet. Would you like to recieve a quote or personal consultation?Just send us a message and one of our flooring experts will contact you as soon as possible. This low-profile flooring system opens up completely new store design possibilities. 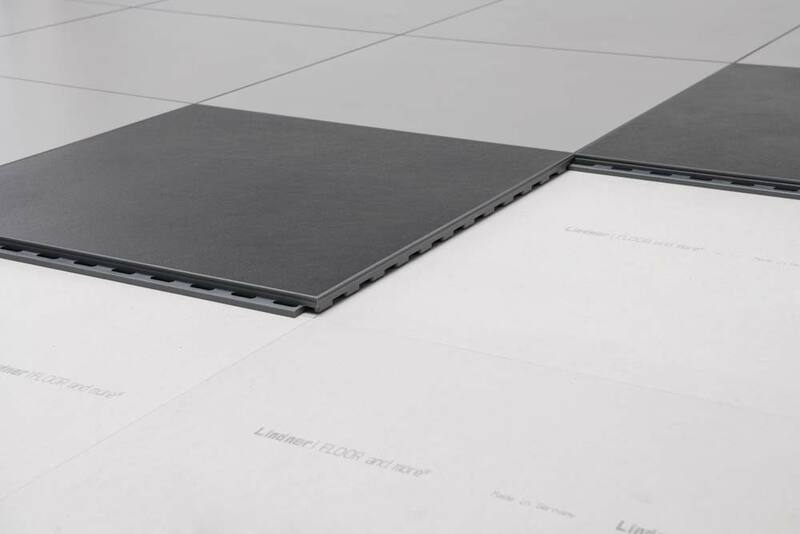 The innovative, universal flooring system for applications on modern raised access floors. This stable flooring solution for heavy traffic on raised access floors is perfect for applications in retail locations, commercial facilities, restaurants, hotels, and public buildings. This reliable and durable flooring system is particularly well-suited to use in retail stores, grocery stores, restaurants, and hotels. This proven flooring system is particularly well-suited to high traffic applications in retail and manufacturing. The heavyweight of the ArsRatio flooring lineup, this floor provides a dependable foundation for applications that see extremely heavy traffic. A flexible solution for outdoor flooring that is revolutionizing patios, verandas, and balconies in and around gardens and swimming pools. This modular presentation system sets new standards and and offers an outstanding way to showcase your product at the POS.